We keep innovating and releasing new versions of our popular extension for Magento 1. Despite the announced end of support of the platform from Magento after June 2020, we made the bold decision to keep supporting all our Magento 1 customers, existing and new, beyond 2020. The sheer number of our Magento 1 customers (over 22,000 and still growing every day) and our responsibility to them as well a Market data drove our decision. Read more about Why and how we will keep Supporting Magento 1. 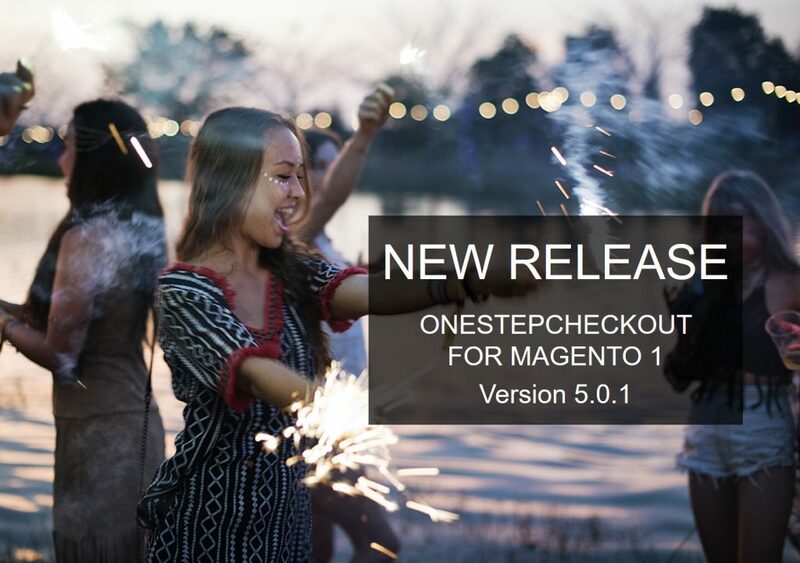 As such we are delighted to announce a new release for OneStepCheckout for Magento 1, version 5.0.1. Fix: bug in collectTotals switches. Fixed. Fix: improved how PayPal Hosted Pro modal looks like on mobile. Fix : under some conditions error is thrown when post code optional for certain countries. Fix: payment method label not displayed correctly in rare cases. Fixed. Chances are you have already fine tuned it to the max and our Support team has already applied hot fixes to it. Simply login to your OneStepCheckout and you should be able to download it. If you can’t see v5.0.1 available for download in your account it’s because your Support and Update Plan has expired. You can renew it directly in your OneStepCheckout account. Read more about OneStepCheckout Support and Update Plan. You will automatically get the new version.